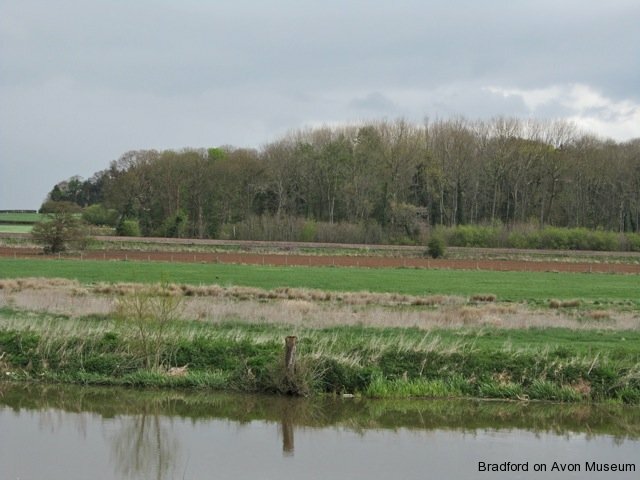 It is supposed that much of the land that made up the Hundred of Bradford became wooded after the end of the last glaciation of the Ice Age about 12,000 BC. Clearance would have begun with the introduction of early farming by Neolithic people and been continued in the Bronze, Iron and Roman periods. There is an abundance of Saxon place names in the area that contain the element leah, meaning a clearing, such as Winsley (the leah of a Saxon called Wine) and Farleigh (ferny clearing), suggesting that there was still plenty of woodland at the time. 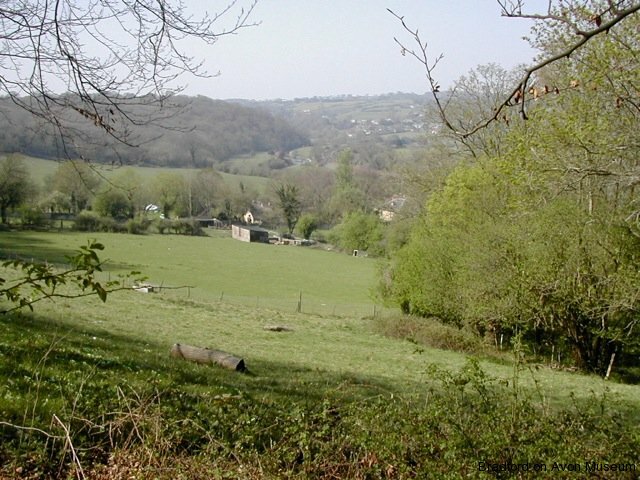 Bradford lay at the northern edge of the great forest of Selwood which stretched away to Dorset, including the present village of Westwood. In the Domesday Book survey of 1086 the Manor of Bradford included woodland that was half a league (c 1½ miles) long and two furlongs (¼ mile) wide. This was probably the original Bradford Great Wood, which is reduced in size today. 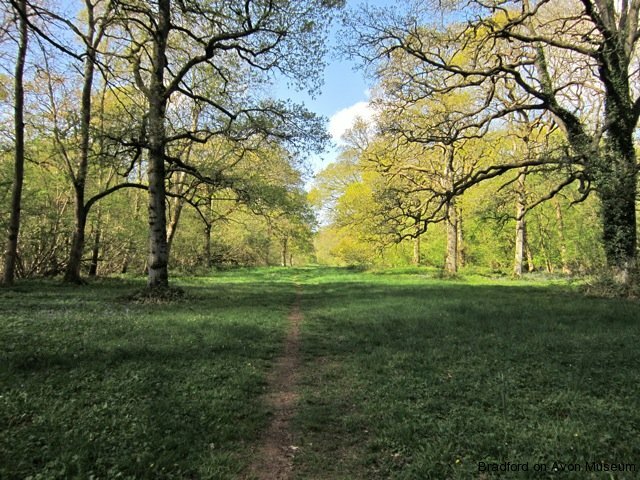 The other large areas of woodland today are Conkwell Woods, Winsley and Inwood, Monkton Farleigh. The latter covers a network of ancient Bronze and Iron Age fields which had obviously been unwooded then. Woodland played an important part in the medieval economy, providing timber (large trees for building) and underwood (for heating, cooking and making fences) and were carefully managed by the manor. 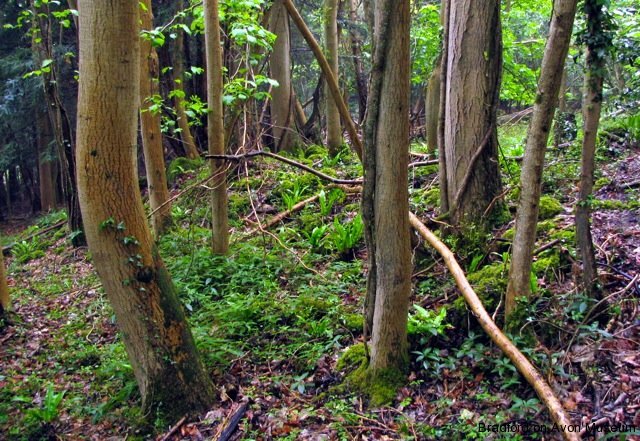 Coppicing -a cycle of cutting wood and allowing regrowth- was carried out in most woods. Modern woods, often planted with quick-growing alien conifers, are periodically clear-felled and replanted instead of coppicing, as happened in part of Conkwell Wood. Many of the woods are now being managed again, frequently as environmental assets, as well as for providing material. There has been some new planting, such as Widbrook Woods, and especially around the time of the Millennium. 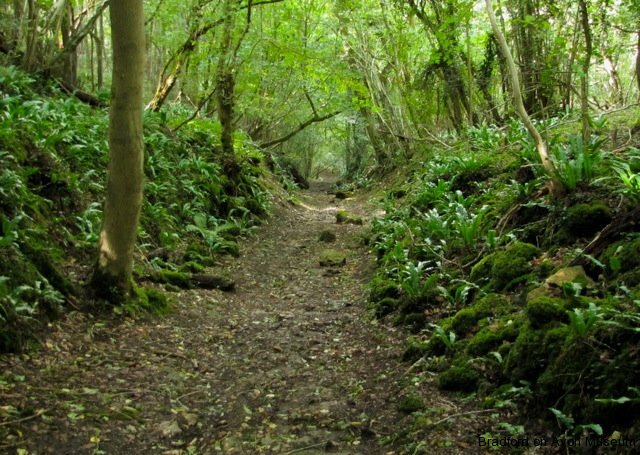 Inwood, including Sweeps Coppice and Challenge’s Grove altogether 56.9 hectares (140.5 acres) and Midford Valley woods (Slittems and Dodleaze Woods) in Limpley Stoke, 23.59 hectares, are designated as Sites of Special Scientific Interest. 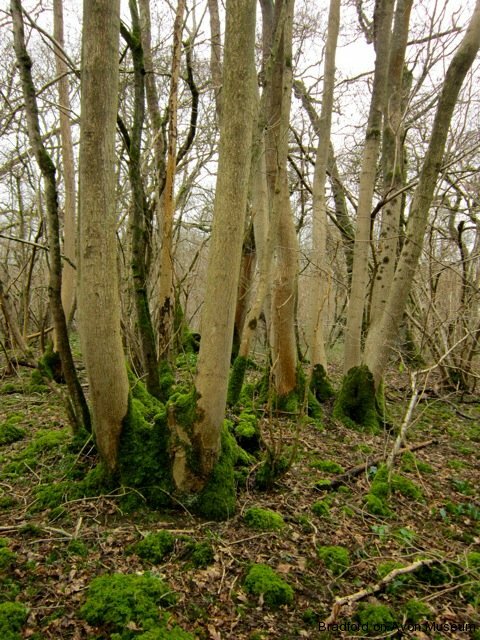 Part of Widbrook Wood has been given by the Hall Estate to Wiltshire Wildlife Trust to become a nature reserve.